There have to be hundreds of thousands of articles, how – to guides, tutorials, videos and lists that talk about the same subject over and over again: make – up errors that women are still making, despite an enormous quantity of information available on almost every corner of the Internet. It is true that not all women are make-up artists and it is reasonable to admit that not everybody affords professional or high-quality products, but there are still some inexcusable mistakes you can see with your open eye in the streets and those mistakes can make women look negligent and messy if not corrected. Sure, there is good mascara and there is bad mascara, but the quality of the product has nothing to do with the fact that some women still get out of the house with messy eyelids. Applying multiple layers of mascara and using a curling brush for volume is the thing to do if you want to make your eyes look bigger and more intense, but wait a few moments between two applications to let the product dry. 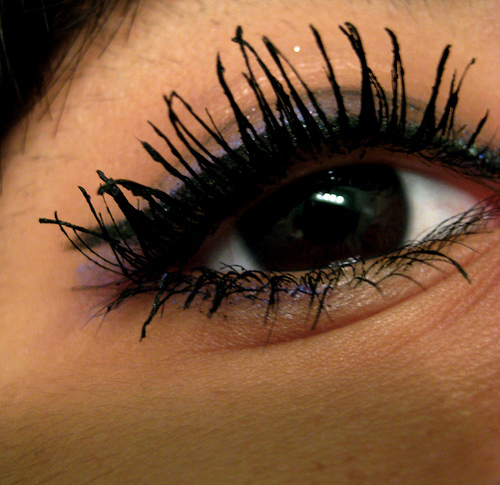 Don’t overload the eye lashes and wipe any messy trace that is left behind. Beautiful women suffer from being cataloged as negligent and messy just because they forget these simple rules and it is truly a shame. If your lips are dried or chapped, first use a moisturizing balm before applying the lipstick. No matter how trendy the product is, when used improperly it only creates negative results that can be labeled cheap or tacky. There are tens of rules on how to use lipstick, depending on the season, on how thick or thin are our lips, what skin tone we have, what combination of eye make-up we use, what time of day and what occasion we use the lipstick in and many of these are well known and skillfully applied. But another basic mistake is to use a lip liner of a completely or even contrasting color with the lipstick which is not so fashionable, but on the contrary, can lead to discouraging effects and an overall feeling of that woman being uninspired in her beauty choices. It is true that the latest season trends in make-up this fall and winter insist on ravishing eye lid make-up in strong metallic nuances, bronze, gold, grey and brown, terracotta, olive and cobalt, but also satin blue and purple, glam navy blue and spectacular combos of neon and mate. Creating a striking smoky eyes effect or a neon-glam spectacular look is one thing, putting all the available colors on your eyes and arcades is just unforgivable. Also, a basic mistake that can ruin a woman’s look, no matter how hard she tries, is to not finish her make-up, making sure everything is smoothly and uniformly applied, protected and finished. Too many colors and an unfinished eye make-up also look cheap and messy, no matter how high quality the cosmetic products you use. Three colors wisely used should be enough and even three may prove not to always be the best choice for a day at the office or a casual outfit. Some women are true artists when it comes to make-up, as they have learned and studied the tendencies and practiced their skills. While nobody says you should look like a Hollywood diva ready to receive her Oscar award every day, having a little care for some basic aspects that have a lot to do more with self-respect and self-care than with skills, is the first step in really enhancing your beauty and not trashing it because of speed or negligence.